...and a Merry Christmas to all! A brand new shipment of the locally filmed movie, 'Below Zero', is now available at the Galloway. This film has won dozens of awards across the globe. Don't miss the heat in this horror movie set in a slaughter house freezer. Don't forget that the Galloway Station Museum has yearly passes! Not to be confused with our yearly passes, a yearly membership is for members of the Edson and District Historical Society. Members of EDHS have voting privilege, can attend general meetings, sit on committees and volunteer for Galloway events. If you are interested in becoming a member, you can purchase your membership at the Galloway for $10 or call 780.723.5696 for more information. 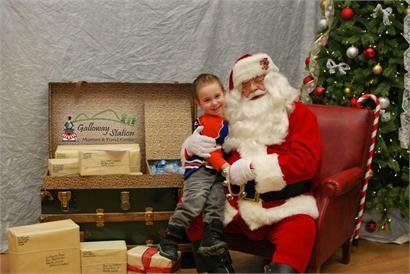 The Edson and District Historical Society was pleased to host Santa Claus on Saturday, December 15th. Children of all ages were invited to come down and create a Christmas ornament, colour on the holiday mural, endulge in some yummy treats and of course, meet Santa. Like last year, the Edson and District Historical Society provided a photographer for the event who took pictures of the children with Santa. The photos were then sent to the parents via email free of charge. To check out the complete album of children and Santa you can click here. The Museum is looking for YOUR stories to bring the past alive! Edson and the surrounding area has a rich history that can only partially be given its due by the written word - but a recorded interview (audio or visual) adds depth, nuance and richness to past events that excite the imagination and help bring the story to life. Oral histories are recorded interviews conducted with people who participated in or observed past events and whose memories and perceptions of these are to be preserved for future generations. They help fill in gaps left by the history books, give insight to day to day life and significant historical events and add unique points of view on the history of the Edson area. 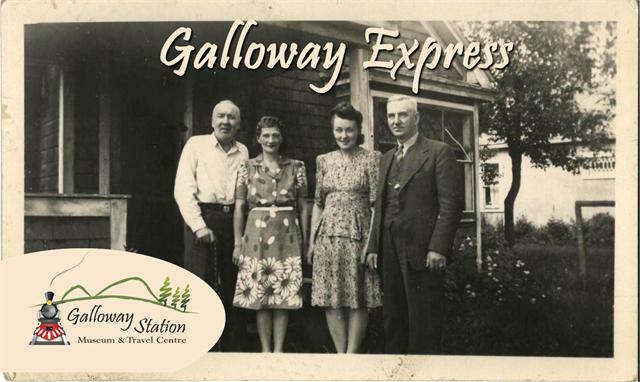 The Galloway Station Museum & Travel Centre is looking for individuals willing to share their stories and preserve them for future generations. Are you interested in sharing your stories about Edson and the surrounding area? Please call the museum at 780-723-5696 for more information. Thanks to the hard work of our volunteer railroaders- Gord Robinson, Keith Dowdel, Bill Hanford and Les Halliwell and our anonymous donor for the new addition to the Galloway Station Museum, a model railway. Pictured above in Les Halliwell, taking the train around the track for the children at the Galloway's Santa visit. The trainset is on an original baggage cart in the Museum. 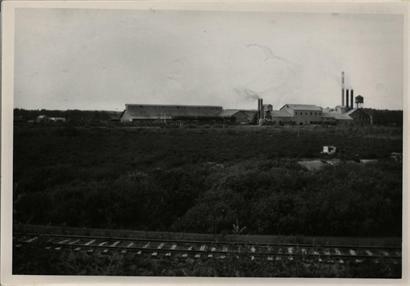 This factory was built in 1910-1912. It supplied the cement for the first high level bridge and the Legislature building in Edmonton, before it was closed down in 1932. Today we see only the remains of this once powerful factory in Marlboro. The 185 feet smoke stack still stands as a reminder of the prosperity of the factory.